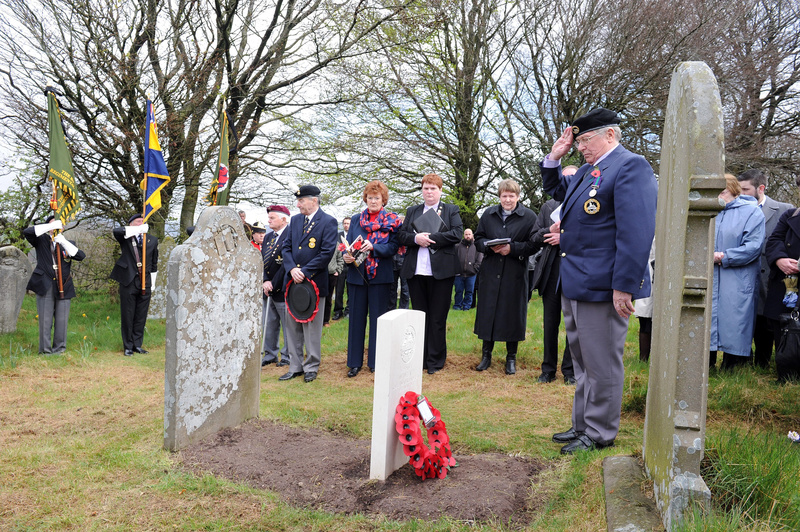 At a service at St. Illtyd’s Church on 25th April 2015 a new grave headstone, donated by the Commonwealth War Graves Commission, was dedicated to the memory of Private William Weale. The service was held on Anzac Day as part of the commemorations to mark the part played in the campaign by Gwent war heroes. 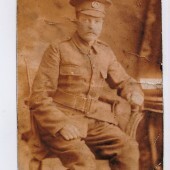 Private Weale was born in Tredegar in 1873 and married Hannah Cryer in 1894. After moving to 3, Rock Cottage, Aberbeeg, Hannah died, aged 38, in 1911, leaving William and at least 4 children, 3 girls and 1 boy. In 1912 William married Sarah Wiltshire and they continued to live in Rock Cottage. 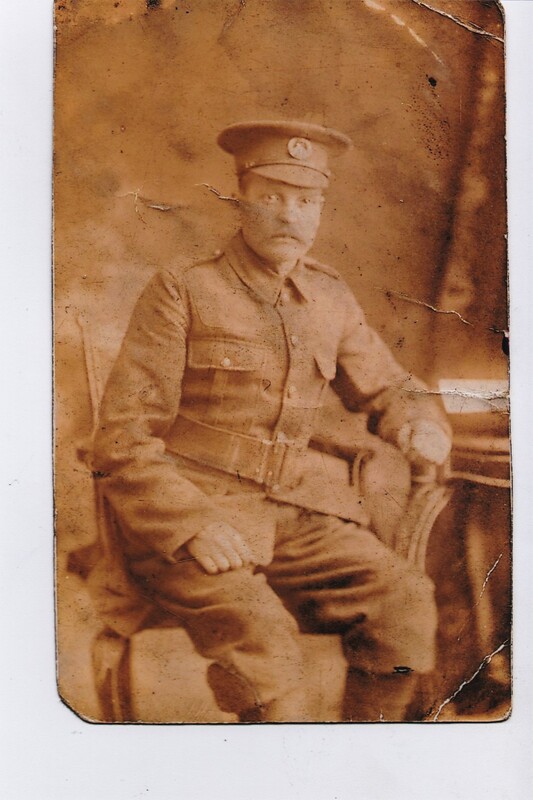 On 16th November 1914, William enlisted in the 2nd. Battalion, South Wales Borderers. Prior to enlisting he worked in Marine Colliery, Cwm, as an Underground Examiner. Sailing from Avonmouth on 16th. March 1915, he landed in Gallipoli on 31st. May 1915. In April 1916, still in Gallipoli, he suffered wounds to hand and foot and was evacuated home. Sadly, following hospital treatment, he died of his wounds on 16th May that year. He was awarded the Silver Wound Badge, the 1914 – 1918 War Medal and the 1915 Star. 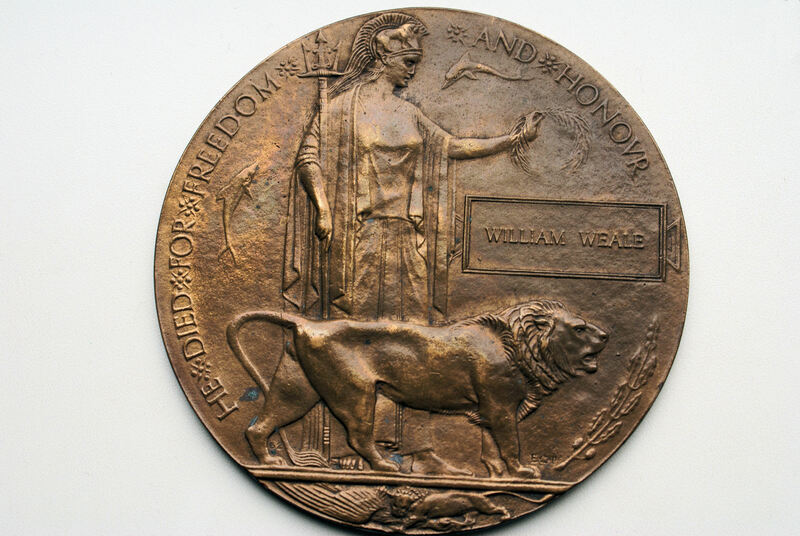 We are grateful to Private Weale’s family for providing his photograph and allowing us to include a photograph of his WWI Next of Kin Memorial Plaque. 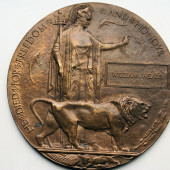 The plaques were presented to the relatives of men and women whose deaths were attributable to the Great War of 1914 – 1918, and became known as the “Dead Man’s Penny”. 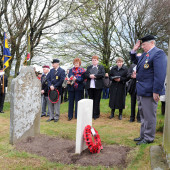 The photograph taken at the memorial service shows, in the foreground, Brian Webley, one of Private Weale’s grandsons, and has been generously donated by the South Wales Argus, who own its copyright. Abertillery people provide World War I field ambulance.